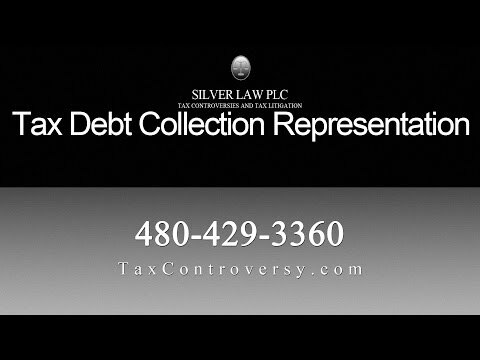 At Silver Law PLC, in Scottsdale, Arizona, our attorneys bring more than 80 years of combined tax law experience to individuals and businesses throughout Maricopa County. Because we have been on both sides of a tax controversy, we know how the taxing authorities handle tax collections. We have a comprehensive understanding of the substantive law as well as the procedures governing tax collections. For a confidential consultation, contact us or call us at 480-429-3360. Offers in compromise. We will act as your advocate to persuade the government to settle the tax debt for less than the full amount owed, commonly known as an offer in compromise. We may argue that the amount of the tax debt is not correct, that you lack the resources to pay the amount in full, or that there are other mitigating circumstances. Installment agreements. In appropriate situations, we will attempt to negotiate the payment of a tax debt over a period of time. We may seek a “part-pay” agreement, whereby you make monthly installment payments through the period of the statute of limitations for collections, but end paying some amount less than the full amount. Tax levies. We will aggressively protect your rights when tax authorities seek to seize your assets to satisfy a tax obligation. Tax liens. We will also handle situations where tax authorities place a lien on real or personal property in an attempt to levy or seize the asset. Employment taxes. We handle disputes involving the classification of workers as employees or independent contractors, as well as controversies involving unfiled employee tax returns or unpaid tax liabilities faced by businesses. Trust fund recovery penalties. We protect the rights of individuals and business owners in disputes involving business-related taxes, such as withholding, FICA, Social Security and sales taxes. When you hire us to handle a tax collection matter, we will meet with you to determine the best approach to resolve your controversy. We will attempt to even out the playing field, so that the IRS or the state or local taxing authority does not control the entire process. To schedule a confidential consultation, contact us or call us at 480-429-3360. Our office is open weekdays from 9 am until 5 pm. Evening and weekend meetings are available by appointment only. We are located in Kierland.